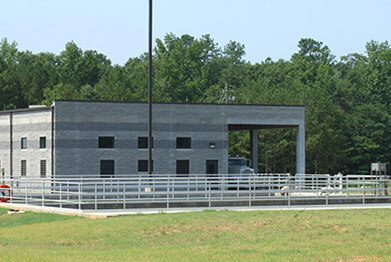 The Authority’s sewer pre-treatment plant is located on the banks of the Yellow River south of City of Porterdale. The pre-treatment process is a 24/7 operation. After treatment levels have been met, the effluent is pumped to the City of Covington / NCWSA’s Land Application System located on Flat Shoals Road where it is applied to the 3000 acres of spray fields. For sewer tap inspections please call JD Reid – NCWSA Inspector – phone #- (678) 878-5987 for an appointment. F. To enable the Authority to comply with its National Pollutant Discharge Elimination System permit conditions, sludge use and disposal requirements, and any other Federal or State laws to which the Publicly Owned Treatment Works is subject. This ordinance shall apply to all users of the Newton County Water and Sewerage Authority’s Publicly Owned Treatment Works. The ordinance authorizes the issuance of wastewater discharge permits; provides for monitoring, compliance, and enforcement activities; establishes administrative review procedures; requires user reporting; and provides for the establishment of fees for the equitable distribution of costs resulting from the program established herein. Fat, oil and grease in sewer pipes, referred to as FOG, create pollution problems in many communities. FOG enters sewer pipes through restaurant, residential and commercial sink drains. Once in the sewer, FOG sticks to the pipe and thickens. FOG can build up and eventually block the entire pipe. Blockages in sewer pipes can send sewage backward – out of manholes into streets and rivers, or up floor drains in homes. These sewage overflows pollute the environment.